If you are looking to sell retail coffee, either as an addition to your current retail offering or as a new start-up business, we are here to help. We offer a range of quality coffees that will allow you to provide a selection of products to your customer base. 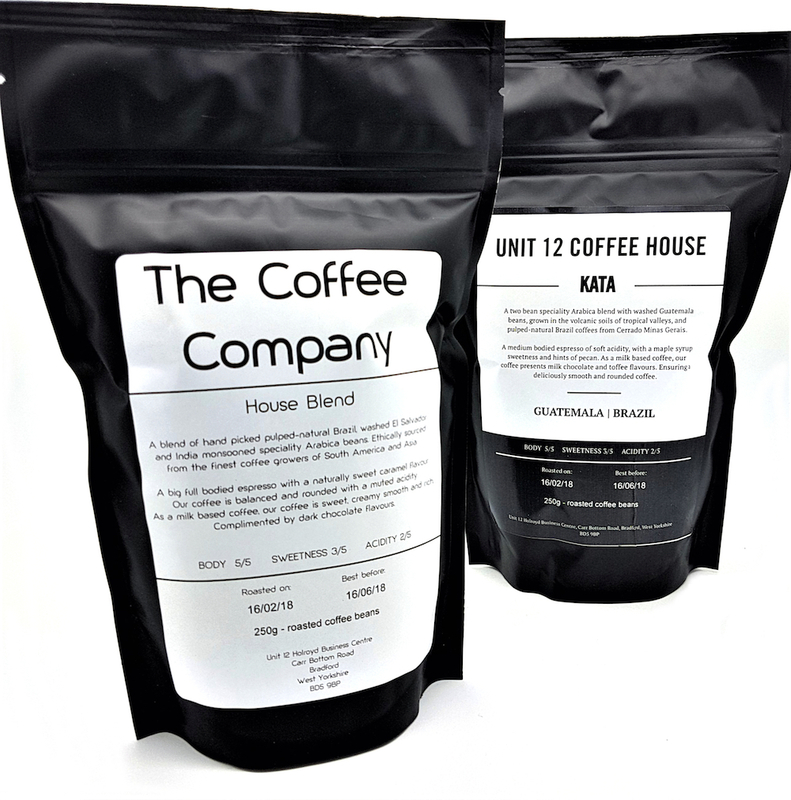 For those looking for espresso blends, we have designed these to work amazingly as an espresso as well as taste smooth and flavourful with milk. We offer three, high quality Arabica blends, all of which are roasted to their own profile to ensure we get the best out of each blend. For filter coffee, our single origin range is designed to allow you to provide smooth, delicious coffees, whatever your customer’s filter method of choice. Whether they are looking for a traditional nutty, smooth coffee or something bright and fruity, our selection gives you the choice of coffee you would like to sell. We also offer a range of quality teas, hot chocolates and barista tools that may be a welcome addition to your retail offering. We offer free of charge white labelling on all of our coffees that allows you to sell our coffee on. You can choose to sell our espresso blends, our single range or have a custom blend designed for you. This will mean you can celebrate your own brand of coffee; something that would make you stand out and make your retail stand personal and professional. All we need is your logo and we will create the label for you, ready to be printed for your first order. We also offer the choice of grind size for your coffee, ground for either; cafetière, filter, espresso or as whole beans, all this free of charge of course. We look forward to hearing from you to discuss how we can help you to provide the most delicious retail coffee.